Starring: Ryan Reynolds, Ed Skrein, Morena Baccarin, T.J. Miller, and more. Hey… Hey you, you there. Yeah! You! Do I have your attention? Sweeeeeeeeeet…. Okay, maybe breaking the fourth wall does not work as well on an internet review like it does in a movie but hey, beggars can’t be choosers. So speaking of the breaking of the fourth wall, guesssss what movie came out this past weekend. DING DING DING, yes you looked at the title again, or the tweet, or… every single place I posted it because I am trying to get views, anyway, YES, DEADPOOL! Finally, a rated-R superhero movie done right… Or was it? The story begins as the merc with a mouth pulls the audience in with the pedal to the floor. 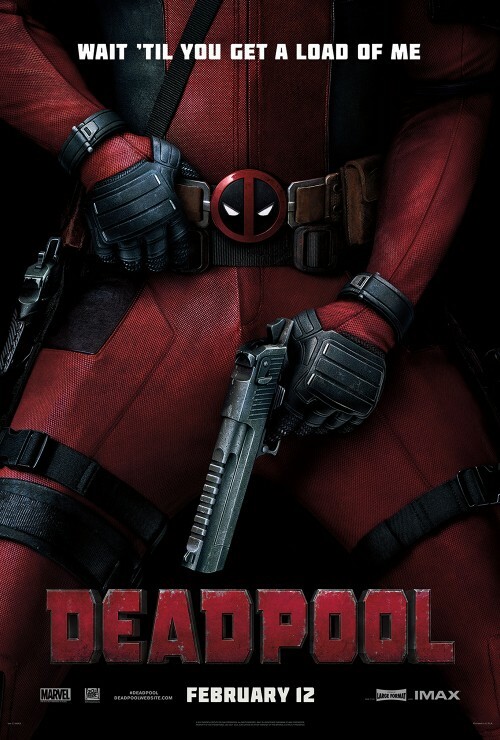 As Wade Wilson/Deadpool (Ryan Reynolds) fires, fights, and slashes through his enemies alongside his trademark brutal humor, he personally unravels his story of what his mission is; to get his girl back and “cure” himself of his less than desirable features by hunting the people responsible for his misfortune. As the story takes the audience back and forth in a creative fashion, we learn of Wade’s past as a mercenary, whom his love interest is within Vanessa (Morena Baccarin), and how everything eventually leads to his emergence as Deadpool. Ryan Reynolds, thank you. ‘Deadpool’ was everything I could hope for and love. The comedy is grade A for my taste. Every quip that Deadpool made had me laughing even in the midst of an action scene. Speaking of; the action was beautifully done and more than satisfying in terms of brutality and being epic. As much of a fan as I am of the Marvel PG-13 movies, this is one of my favorites in regards to the pure realness of the interactions. I am a vulgar humor kind of guy and Deadpool just happens to be exactly that. Aside from the action and humor, the story line I felt was well done especially in the means of how it has phases of flashbacks and flash-forwards, all while Deadpool keeps the audience entertained by his direct interaction with the crowd as we all know and love him to do. A+ goes to Fox for knocking this out of the park or maybe A+ goes to Ryan Reynolds for pouring his heart into making this film happen for us, the fans, who wanted a real Deadpool film and not Baraka from Mortal Kombat. Catch this film, ladies and gentleman… Unless you do not like vulgar humor and blood and brutality and… Well… Just go see it, you will love it.